I can’t tell you how many times I’ve received questions from artists asking me how to mount sanded pastel paper to board. While delegating the assignment to your local framer is a valid option, there is a DIY approach. Sanded papers like UART are produced on rolls and have a tendency to curl up at the edges over time. It’s definitely no fun to fight those curls while you’re trying to paint, not to mention the problem of buckling the paper during washes! Well, get ready for buckle free bliss, because I’m about to show you my personal method for mounting pastel paper to board right in the studio without the use of an expensive dry mount press. By the end of this video, you’ll be empowered to mount your own pastel surfaces like a DIY pro. Want to create stable, buckle free boards that can take the abuse of wet underpaintings, and frame up beautifully? Then be sure to sign up for the DIY MOUNTING GUIDE below, because it’s time to conquer the curl together! What Pastel Paper Should I Use? Believe it or not, the paper you use has a dramatic impact on the overall look and finish of your work. Yet it can be overwhelming to figure out what to buy with all the materials on the market. The truth is, not all papers are created equally! Don’t worry though, I’ve developed this video and the accompanying pastel paper supply list to help you understand which surfaces I recommend in order to accomplish a painterly style. Simply watch the video to see my full explanation, and click the link below to download your pastel supply list and follow along! DOWNLOAD YOUR FREE PASTEL PAPER SUPPLY LIST NOW! Sign up to receive THE ULTIMATE FREE GUIDE TO PASTEL PAPER! I look forward to many more opportunities to encourage you in your creative development. For now, enjoy exploring new pastel surfaces! Admit it... you have a problem, and it's gotten out of control. Your studio has become infested. It's as if these little critters have multiplied overnight, and now you can't seem to get a handle on them. Know what I'm talking about? Your pastels! 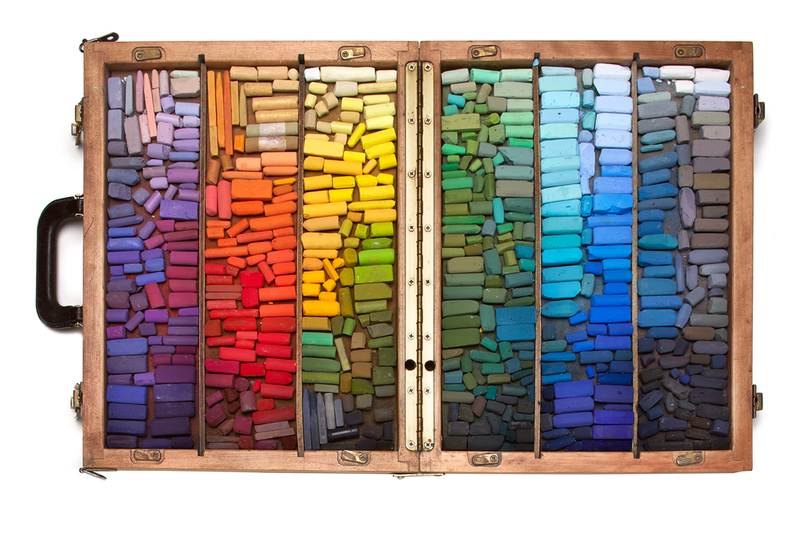 In all seriousness, organizing your pastels can be overwhelming. Developing a simple system to access all those colors, brands and sizes so that you can paint with confidence and focus is not only important, it's critical to your next painting's success. Don't worry, I'm here to help. Just sit back, grab a peppermint mocha and watch this video. You'll be organizing your pastels in no time! It's travel season here, with a number of art workshops in different areas throughout the country and abroad. Many of you have asked me what to bring and how to pack for a travel art workshop, especially when going abroad. In this video, I'll show you how to pack your carry-on luggage with all the pastel painting supplies needed for an efficient, portable painting setup. Simply click here for the Travel Supply List with a lot of products that I recommend. Would you like to join me in an upcoming workshop? Are there obstacles to your creative growth that you'd love to overcome in an inspiring and encouraging environment? There are some amazing opportunities just around the corner. We even have a couple of spots left next week in my Capturing Light: California workshop! Check out my workshop schedule, and find a workshop near you. I'd love to encourage your creative development. Are you wondering how to get better color in your work? I have been asked by many of you for help with color. I certainly want my paintings to sparkle with fresh color, and I bet you do as well! This new video shares five tips that you can use right now to improve the color in your work! I'm confident that if you do these five simple things, the brilliance of your paintings will shine through with newfound freshness. Once you finish watching this short video, clear a pathway to your easel and start practicing these five tips to better color! Then, look out for part two of this video, as I share the results of my own color exercise with you. In addition to the video, we've created a worksheet that you can print out and tack up next to your easel. This way you can put these five tips to work for you right away! Click the link below to download the worksheet. Looking for even more inspiration and creative support? Check out my workshop schedule to find a workshop near you! Now have some fun with color. With the success of the "Capturing Light" instructional videos, I teamed up with Terry Ludwig Pastels once again to develop a sumptuous set of 14 warms and cools that pair perfectly with the DVD series. I had such fun hand selecting each color to suit this beautiful set of soft pastels. The picture below shows me engaged in the rewarding challenge of choosing just 14 perfect colors. Until now, this exclusive pastel set was only available by purchasing the Capturing Light Kit from North Light Shop. The Capturing Light Pastel Set is now available for purchase in our online store! Alain Picard hand-selecting pastel colors. Watercolor Wash Using a small watercolor set and a flat or round watercolor brush, paint with watercolor materials on the blank sanded paper to achieve your desired effect. Then work over the wash with dry pastel. 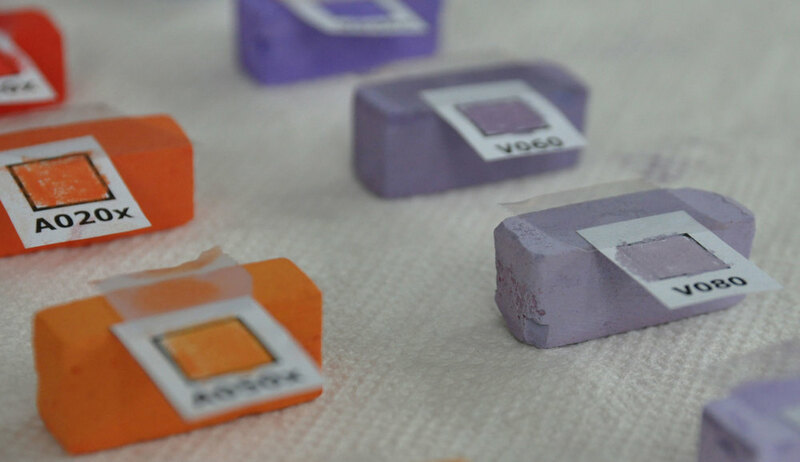 Alcohol Wash Use denatured alcohol or 90-percent isopropyl alcohol and a flat watercolor brush to wash over dry pastel pigment, which will dissolve and stain the color into the paper. This method dries very quickly and creates beautiful effects. Mineral Spirit Wash This works in much the same way as an alcohol wash but takes a little longer to dry. To learn more about using underpainting techniques in pastel, and see me put them to work in step-by-step instructional paintings, look for my upcoming book, Mastering Pastel, available for purchase in the STORE this May. Many have contacted me after watching my pastel portrait DVD's with Artist Network.TV, asking how I sharpen my hard pastels. This video will show you how! Learn my simple technique for sharpening your hard pastels and improving the details of your pastel paintings. This is my pastel portrait palette, organized by value and color, according to the 6 basic skin types. More on that in another post. Along with the rich soft pastels, there are small batches of hard pastels which have been sharpened to a point and organized in groups of neutral grays (far right), cool flesh tones (right), warm flesh tones (center right), and warm earth tones (upper left) within the box as well. I find these very useful for the small details of the face. As you can see, light values are at the top representing "tints", and dark values are at the bottom representing "shades". Neutral values are known as "tones". Compliments to John Heilman for the Original Box from HeilmanDesigns.com.